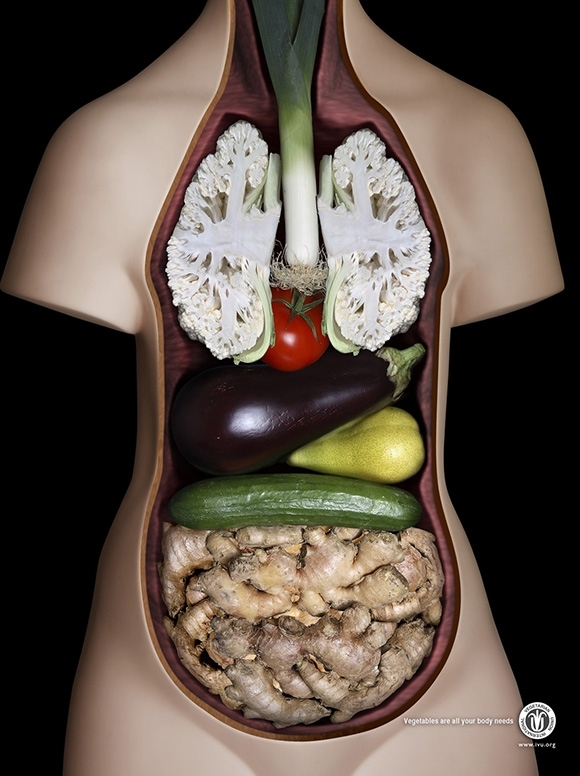 Knowing my passion for raw food, my clever friend Wybe sent the raw food hypocrite this brilliant image, designed by JWT Kuwait for International Vegan Union. I can safely say that if this was a reflection of my body, there would be some chocolate, an espresso, cheese on biscuits and a pizza in there also! While their website looks pretty bad, the content on it is really interesting and useful. For example, I found out that there are no vegan organisations in Swaziland, and that Pythagorus, Tolstoy, Thomas Edison, Kate Bush, Billy Idol, ‘Weird’ Al Yankovich, Mel C, Prince, Moby, Justin Timberlake and even Meatloaf are vegetarians.